The strugggggggggle is real y'all. I'm feeling the cut in my calories and it's hard, real real hard. Last night after my perfectly weighed out dinner of fish and potato soup I had to force myself to stay out of the kitchen so I took the fat baby and we did laundry and foam rolled :) My exciting life. He actually loves when I get down on the floor and roll because he can crawl all over me. While I was doing laundry I decided to clean out my pants drawer and there they were, my prepregnancy jeans. I had someone ask me if I've gotten back into them yet, but honestly I thought I still had them all packed away. Obviously I had to try them on and THEY TOTALLY FIT even though I'm about 8 pounds away from my prebaby weight. That was enough to keep food out of my mouth for the rest of the night. A few months ago I did a getting started post on IIFYM - you can find that here - it has lots of links on how to figure out your numbers and also how to set up MFP with your specific macros. If you've been thinking about this diet and maybe are overwhelmed I thought I'd break it down into an easy to get started format. But it's too much work to weigh and log all my food. It is work, but if you do it for more than a week it gets pretty dang easy. Your foods gets saved and most of the time you are probably eating the same 20 food over and over again. 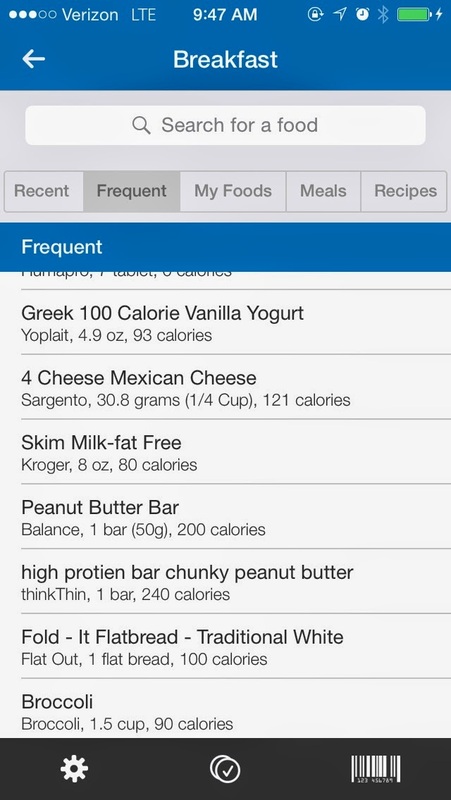 I could probably go an entire 3 or 4 days and never input a new food, just look in my frequent list. Weighing is only scary for a few days until you realize it's like 100 times easier than digging out measuring cups and spoons. I use this scale, Ozeri Digital Scale, because it coverts from g/oz/lb/ml >>> ain't got time to be doing math. 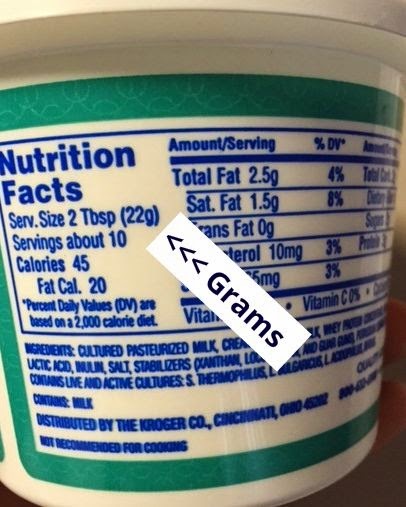 Did you know the label will usually tell you how many grams in a serving? That's how I know how much to weigh out and eat. Be sure you are logging the correct foods, search USDA behind whole food items and put grams in the search box. If you are weighing raw then search raw, if you weighing cooked search cooked. I came across a great article that gave some of the best newbie advice - figure out your calories and your protein macros only! 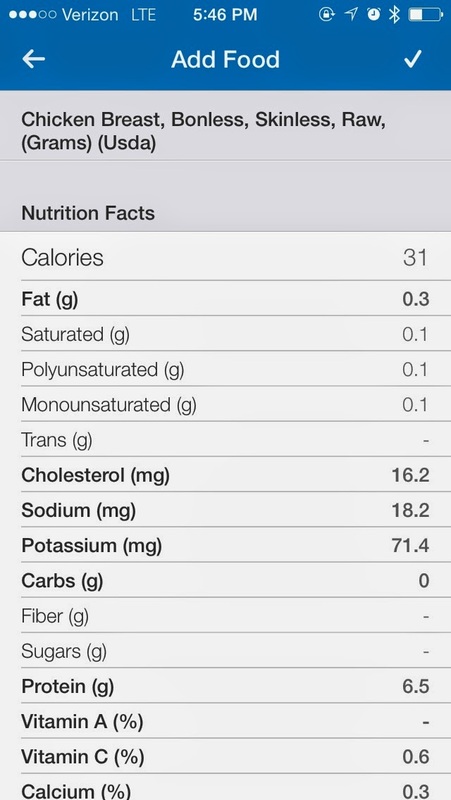 IIFYM is really just calorie counting broken down into macros, anyone can count calories, this is just one step further. 1. Figure out your calories needed per day - and it probably isn't 1200. 3. Spend a few weeks just getting comfortable weighing your food and trying to hit your protein goal. Once you are successful at this you can really dig in and start tracking your carbs and fats, protein is usually the hardest for most people. Starting small is the best way to start anything new, getting comfortable and learning the process takes time - so do yourself a favor and make it easy! My best piece of advice: If you don't know guess high and move on!! Do NOT let it blow your entire day! thanks for the help, great info! I always choose guessing high when I'm confused about a food. Great advise and I really need to start tracking my meals again. Meg, I remember you crying on instagram about people calling your daughter fat, yet you always refer to your son as fat. Have you thought about this at all and why its different for you? Might make a great post! Cause he's literally a baby and babies should be fat :) Plus I say it lovingly, unlike people calling a young child that in an ugly way. Babies ARE cuter when they're fat... Its like a rule or something. No babies should not be fat. Some are but that doesn't mean that they SHOULD be. Oh come on, let's please not be petty about the word fat in conjunction with a baby. We are adults with common sense and my baby is indeed chunky, fat, cute, adorable, whatever you want to call it. Y'all are just splitting hairs now and I'm over it. When you're calculating your calorie needs and selecting a goal, do you choose the "Suggested" (15%) option or the "Aggressive" (20%) option? Thanks for all of these posts - they've been so helpful and inspiring!! Thanks, I was about to ask the same question. Has me eating 1900 calories. Seems like a lot. Thank you so very much for posting this!! I feel like you are always genuine and true to who you are and helping people is in your nature. THANK YOU so much for breaking it down!! I will be re-reading your first post and visiting these sites tonight! You are such an inspiration to me and I cannot wait to get started. Thanks again!!! totally agree, this was great and just the push I needed! Thank you!!!!!! Can I ask what your carbs are set at now that you're done marathon training? I took your advice and had Paige do my macros. She's fantastic! I've just begun IIFYM and I'm having trouble getting enough protein. Do you have any suggestions? PS. Your babies are adorable! I've read this blog for years and have never commented, but lately the amount of negativity and judgement Meg has received has be astonishing to me. Meg voluntarily shares stories about her life, her struggles, and her success and we as readers voluntarily read her blog posts. It is amazing to me how many adults need to go back to the basics of what they were taught as children and the lessons they are hopefully passing on to their children. If you don't have anything nice to say, don't say anything at all or people that live in glass houses shouldn't cast stones. This doesn't go to say that you have to agree with anything and everything Meg posts, but don't belittle yourself by posting nasty comments. It doesn't make you look cool or smart. It just makes you appear extremely unhappy. If you don't agree with a post, don't read it or open your mind to understand everyone is different in how they think and live their lives. It doesn't make them wrong just different. I couldn't agree more. If you don't like/agree with a post, move on. There is no need for all this negativity. I love your blog Megan! Weight loss is SO hard. Especially, when you are like me and love love love food. A few friends and myself are starting this method Jan. 5th! Please keep posting on this and inspiring so many of us! I have watched you transform and Im in, I know it will take some work, but I am doing it!!!! You are amazing girl!!!! Thank you so much for doing this post. I have been completely blown away by your progress....you look amazing!!!! I have been thinking about IIFYM for a while but it has seemed a little overwhelming. I am going to red this post and the initial one and figure this thing out. I also just ordered my scale! Do you log all of your exercise and follow what MFP adjusts your numbers to be after you have custom set them?????? I do not track my exercise, it's already calculated into my daily macros. 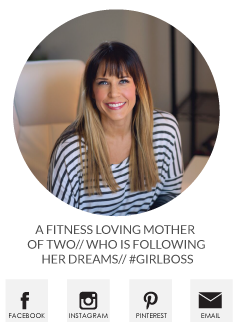 I have been following your blog for a while now and LOVE reading your posts! Its the extra push I need every day to keep going towards my goal! :) Congrats on your success and how well you are doing!!! :) I am really interested in IIFYM (I have been stuck in the 1200 cal. a day mentality for way too long) and have hit a major plateau! I workout 5-6 days a week and IIFYM.com says I need1935 calories for the suggested 15% fat loss! I'm afraid if I just jump up to that number at once I will gain. Should I do that or slowly add calories into my diet? Is that what you did when you started flexible dieting? Where did you get your chair in the first pic? I love it!